The Return of the 26.2 Hour DJ Set! 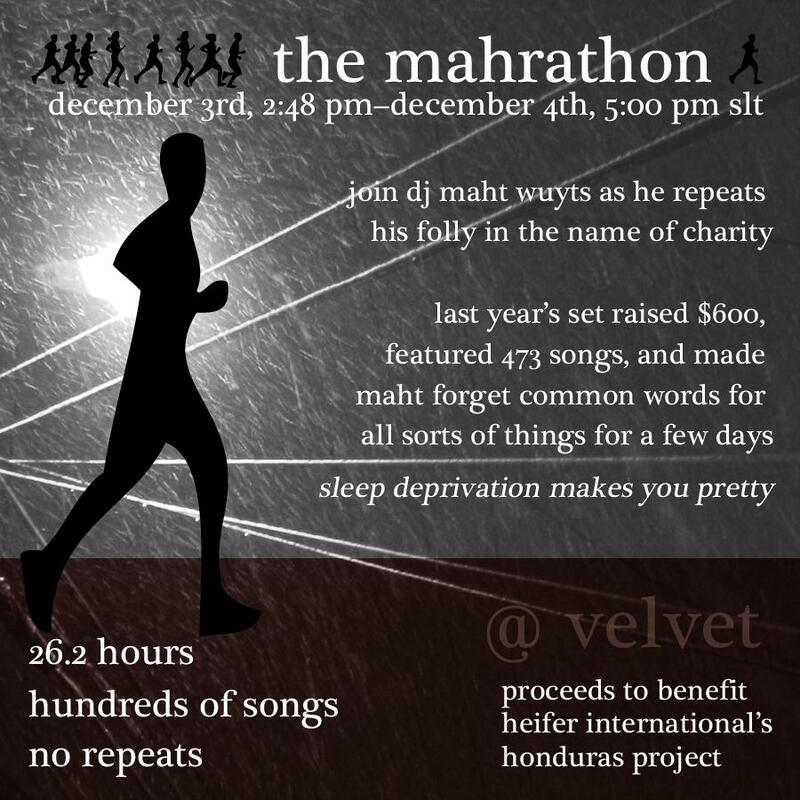 It’s Fashionable to GIVE this time of year and ONCE AGAIN our beloved friend MAHT is gonna be a gibbering mess my DJing for 26.2 STRAIGHT HOURS at the Velvet as a fundraiser for HEIFER! I’m in the process of culling donations gifts from some the grids finest creators! So everyone who donates is gonna nab some sweet loot in addition to helping a VERY worthy cause. Creators if you are interested in donating anything – please IM me or private plurk me at www.plurk.com/gidge. This entry was posted in Second Life and tagged heifer, maht wuyts, marathon on November 26, 2010 by .